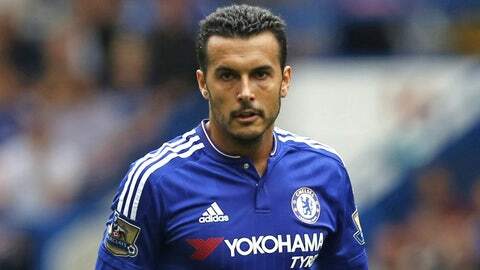 Chelsea's winger Pedro has struggled to adapt to the Premier League. Chelsea winger Pedro has admitted he is finding it hard to adapt to English football following his summer switch from Barcelona. The Spaniard moved to Stamford Bridge in a Â£21.4m deal but has struggled to hold down a regular first-team place and the 28-year-old, who was also linked with a switch to Manchester United, said playing in the Premier League has been a challenge. He said: "It’s hard. It’s very different to what I’m used to. "But, little by little, I’m integrating more, adapting with my team-mates and the team and that’s the most important thing." Pedro scored on his Blues debut against West Brom in August, but has found the net only once since then in the League Cup win over Walsall. The winger could feature in Chelsea’s Champions League clash away to Dynamo Kiev on Tuesday. "Everything is different, very different to the football I’m used to. I think there are a lot of differences, very physical football, very strong. "A lot of players attack and it’s always complicated. All the games are competitive and very balanced."